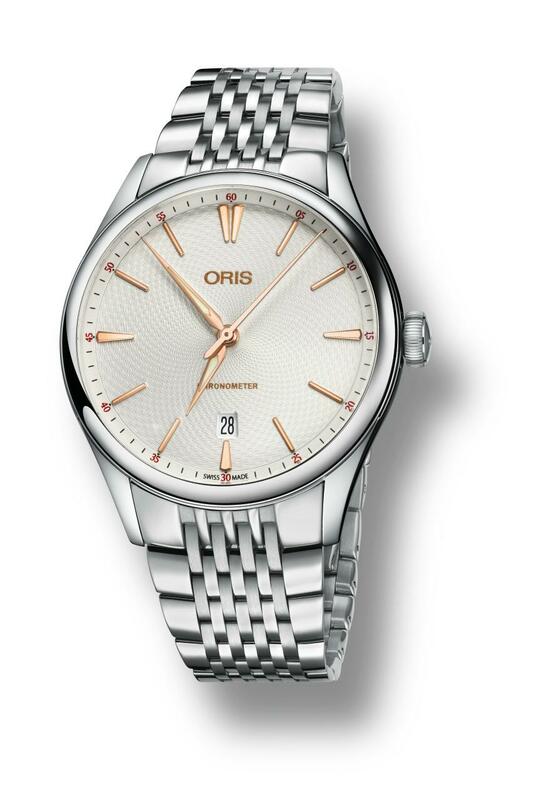 The model is presented in a 40mm stainless steel case. Rating at WR50M, the case sports an AR coated sapphire crystal on the front and a mineral glass display at the back. 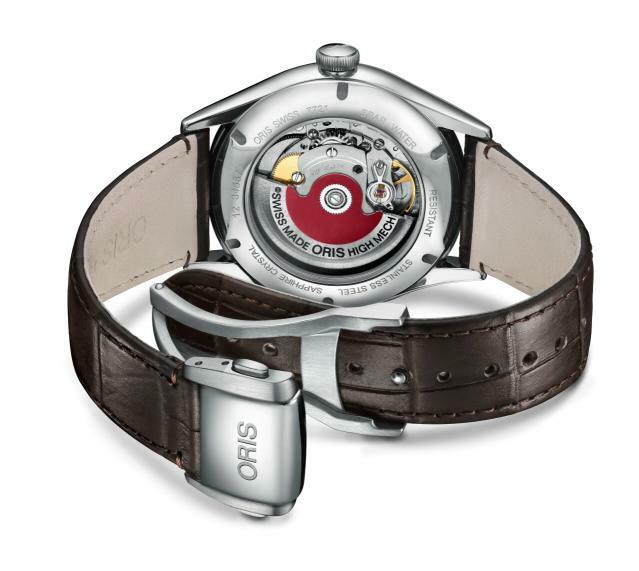 The watch is powered with the Sellita SW 200-1 based movement Caliber Oris 737. 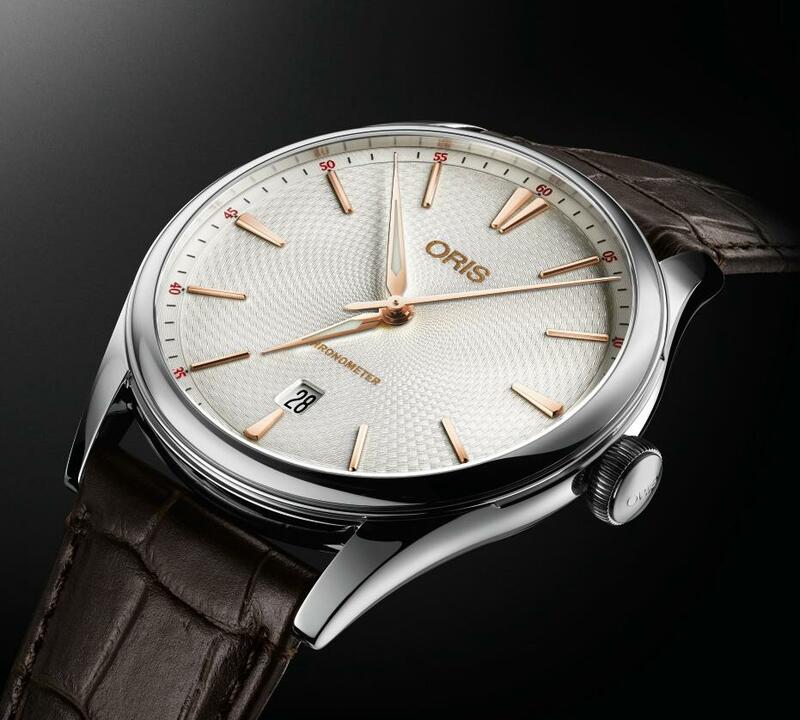 The COSC certified movement sports the trade mark red oscillating rotor and offers 38h power reserve when fully wound. The cream colored dial shows the famous Guilloche pattern with red gols accents. Date display is located at 6 o’clock position. 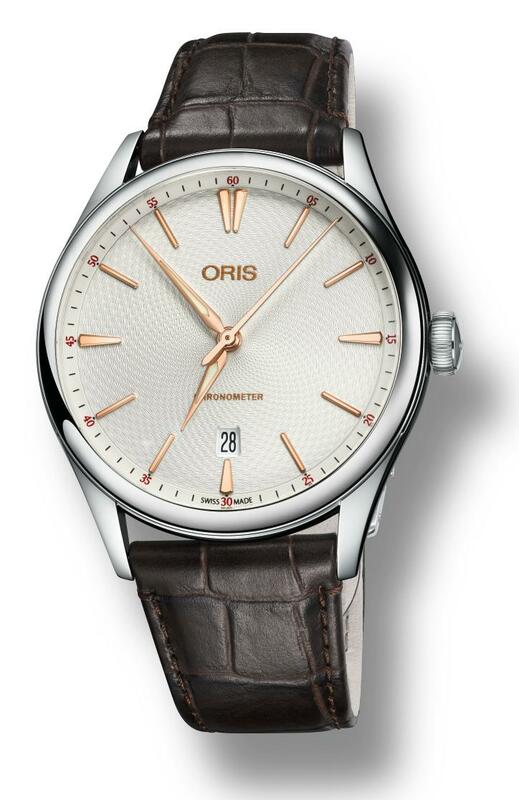 The model is offered in two dial and strap combinations with a MSRP of 1800 CHF.